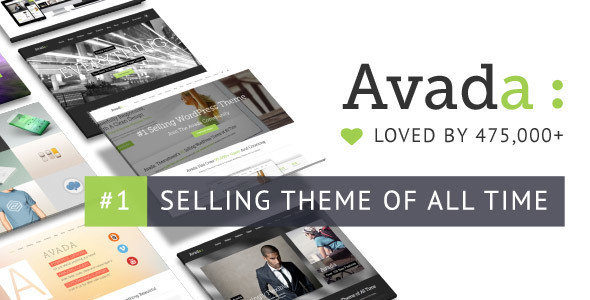 The Avada theme is one of the best choices out there when it comes to WordPress themes. This is the best-selling theme of all time and it is easy to see why. With nearly half a million websites using this theme, you have probably seen it before, but since there are so many customization options and features packed into Avada, you probably didn’t recognize it. The theme is 100 percent fully responsive. While many themes say that these days, this actually has every single element manually designed to fit each of the most modern mobile devices on the market; it also features pretty incredible page building options and behind the scenes controls that will give you the ability to perform thousands of tasks or customization tweaks. The fusion builder is one of the easiest to use and most versatile drag-and-drop website builders that you have ever seen and the admin panel is familiar and user-friendly, but still has far more options than any other WordPress theme that you have come across. You will never have to worry about your site looking like anyone else’s because you can customize literally every element of this theme. Whether you want to change the layout, adjust the colors, fix the fonts and styles or customize your site for a specific purpose like e-commerce; it is all readily available. Some of the other features include a short code generator so you can build your own custom pages using the short codes that Avada includes, a demo content importer so you can see what your new customizations are going to look like with real content and make changes before you have to build a single post or import a single picture. You can also choose from any of the gorgeous prebuilt layouts that Avada provides. For example, there are more than 20 homepage design is to choose from depending on whether you want to go with a shop, blog, portfolio or news website. There is also integration for many of the biggest WordPress platforms out there including WooCommerce, BBPress, Revolution Sliders and much more. Plus, not only is Avada ready for any translations you need to make yourself, it actually include several language packs already installed. Choose from an endless variety of fonts, animations, icons, typography and more. Although there is a lot to learn to be able to use all of the features and options that this theme provides, there are high-definition videos with narration that teach you everything you need to know as well as written documentation for you to peruse or quickly reference. Finally, this theme provides integrated search engine optimization so that you never have to worry about whether your site is going to get listed in the Google index or that you are not doing everything you could be doing to get it to rank as high as possible. This is truly one of the most amazing premium themes out there and it is easy to see why it is so popular.